Want it by Wednesday 24th April? Order within 2 days, 40 minutes and choose Royal Mail Tracked 24 Hour at checkout. 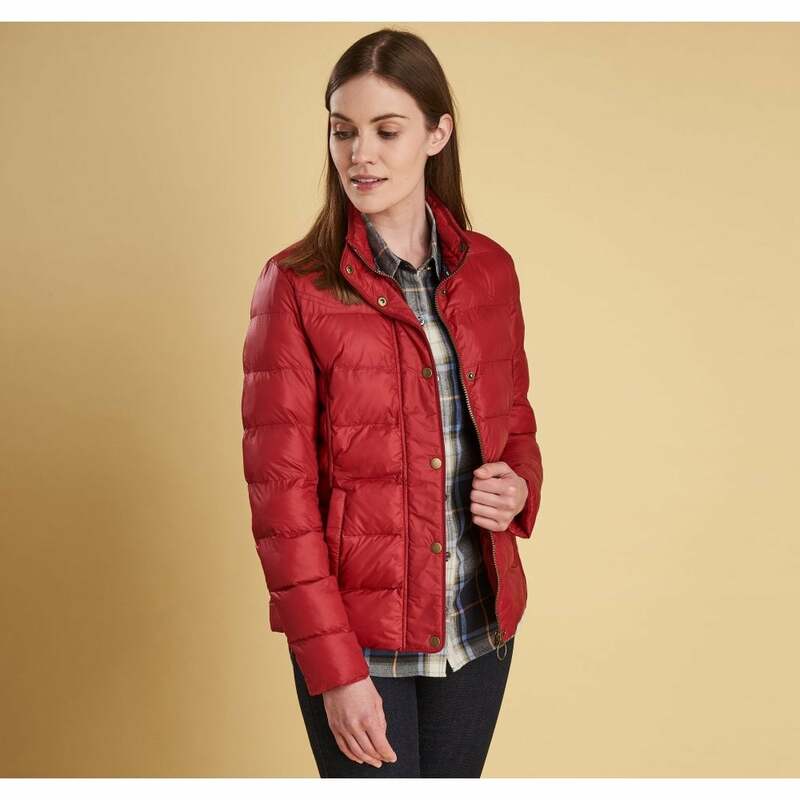 The Barbour Gondola Quilted Jacket is beautifully versatile with a modern twist on the classic quilted Jacket. Injected with Barbour's signature style this jacket features welt pockets, country studs and a suedette trim to the collar. The simple yet eye catching jacket features a gorgeous horizontal baffle quilting to front and back giving a flattering effect. The Gondola Quilted Jacket is a classic winter must-have.